Dr. Nadire Berker and Dr. Selim Yalcin, members of HELP's Turkish Board, discuss a team treatment approach to Cerebral Palsy. 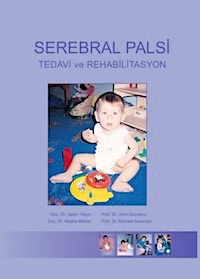 They decided to satisfy this need for educational materials and brought together the latest information on the treatment of Cerebral Palsy in this book. This book contains more than 250 color photographs and illustrations. It comes with a CD-ROM that contains all the text, graphics, and a 15-minute movie entitled "Living With Cerebral Palsy."